Drawing a recipe from the hat (so to speak) today, I was thrilled when I saw it was a recipe for Old Fashioned Sugar Cookies. For one, the girls and I have come down with a cold and nothing sounded better than melt-in-your-mouth sugar cookies and two, sugar cookies are my husband's absolute favorite and something I rarely bake these days... I knew he would declare that he loved me forever when he came home from work and saw the cookie jar full of these (smile). These sugar cookies are so amazingly good... after they came out of the oven, I was afraid there wouldn't be any left in the cookie jar! This is a recipe that was submitted by Pat, who has a blog called Home On Grange Hall Road. I loved what she wrote about the cookies when she sent the recipe in, so I'll let you read it word for word too! This recipe has been a favorite of my husband's family for several generations, passed down from his dear great-grandmother, Edith Trigger. My mother-in-law, Vera Campbell, was the best cook and baker I have ever met. I am so honored that she took the time to teach me her cooking secrets and share with me her precious family recipes. Some of the ingredients have changed since Grandma Trigger made these wonderful cookies. Lard has been replaced by butter and vegetable oil. These cookies not only look beautiful and taste delicious, they are also award winning state fair cookies! I am continuing the tradition of passing the recipe on to the next generation as I share the recipe and cooking secrets with my granddaughters. When I am in the kitchen baking these cookies, I have warm wonderful thoughts of my family. Thoughts from the past of the wonderful times I spent cooking and learning with my mother-in-law and thoughts to the future for the time I will spend teaching my granddaughters. 3. Stir in flour, cream of tartar, baking soda, and salt. Blend well. Exact cooking time is critical. The cooking time for Pat's oven is precisely 11 minutes. She also turns the cookie sheet in the oven at 5 minutes. The sugar cookies were a huge hit at our house... Justus said they were the best he's ever had and I'm keeping this recipe forever as it's a winner (smile). Thank you SO much, Pat, for sharing your delicious and special family recipe with us all! P.S. I think these cookies would make fabulous holiday or hostess gifts too! If you're interested in submitting a recipe, you can find the details here. But what was particularly exciting that came from our backyard this week was our very first egg! Justus found it the other evening in a nesting box and even though we knew (hoped) our hens would be laying soon, we were still all a little awed by our perfect little egg! It seems like just yesterday we picked up our chicks. I'm not exactly sure who was our first layer, but I do have it narrowed down to either Peony or Tulip, thanks to the color of the egg shell (smile)! Congratulations, I'll be emailing you shortly! Thank you all for entering! If you are interested in registering for the course, there are two days left to register early and receive the discounted price before it goes to the regular price. You can find more details here. This weekend included re-sealing our existing butcher block countertops and prepping new butcher block for our new open shelving (I want to put about a thousand exclamation points here)! I thought it would be a good opportunity to share with you a little about my personal experience living with wood countertops. I'm not sure there is another material I would use for countertops... I love butcher block. One of the first blog posts I ever wrote was about the reclaimed wood butcher block countertops my husband and father-in-law built for our kitchen. They are made out of 100 year old oak wood and have held up better than I would have ever imagined after over two years of heavy use. It seems strange, since you wouldn't think wood would be a practical material for the kitchen, but they are easy to maintain, durable, natural, and beautiful. Now, occasionally a mishap will happen... something gets accidentally set down that leaves a ring, or like me a couple weeks ago, you accidentally set your knife down in the countertop while cutting an apple in a hurry. Yikes! But it just happens! If this had occurred after we first installed them, I most likely would have panicked... nowadays, I just thought to myself, Well, I guess it's time to re-oil the countertops anyway. In the case of a knife mark or a ring mark, all that is required to fix the mishap is some light sanding with a fine grit sandpaper and some oil, which I apply at least twice a year anyway. This is what the countertop looked like after I sanded the knife mark and re-sealed. The small knife gouge is gone and nobody would ever guess. As the butcher block wears, it only becomes more beautiful. The grain in the wood seems a little more pronounced, the wood darkens and it becomes smoother. This is our new oak countertop, which came from Ikea. After Justus cut the countertop, I sanded with a fine grit sandpaper. The countertop was already really smooth, so I just had to sand the edge well and do one pass through the rest. Once I sanded, I applied two coats of butcher block oil (allowing for dry time in between). After the countertop was installed, I used 400 grit sandpaper lightly and applied two more coats of oil. I've only ever used two products for our countertops: Behlen Salad Bowl Finish and Rust-Oleum Butcher Block oil. I've been very pleased with both products, as they are quick to dry, food safe and leave a very natural finish. It's a cinch to re-oil your countertops a few times a year. The purpose of sealing the countertops is so that the wood doesn't absorb any water, thus warping and causing other damage to the wood. If the oil is applied properly, drops of water will actually sit on top of the wood without absorbing. Obviously I'm careful not to leave pools of water on the countertop, but I will admit that it has happened a time or two and hasn't caused any permanent damage. This is our new countertop installed. It's a bit lighter than our existing, but after time it should darken and hopefully will complement our reclaimed wood well. As far as cleaning, on a day-to-day basis I use a little warm water and mild dish soap. If I feel like I need deeper cleaning, I use some vinegar. Of course I can't help but give you a quick peek of our new countertop space in the kitchen. I'm not sure I have been this excited about anything in our house! If you live with minimal countertop space, I'm sure you can imagine how I feel having about 6' of additional space now... it is wonderful! Now I need to get to painting the shelving, but I don't think I'll mind (smile). P.S. 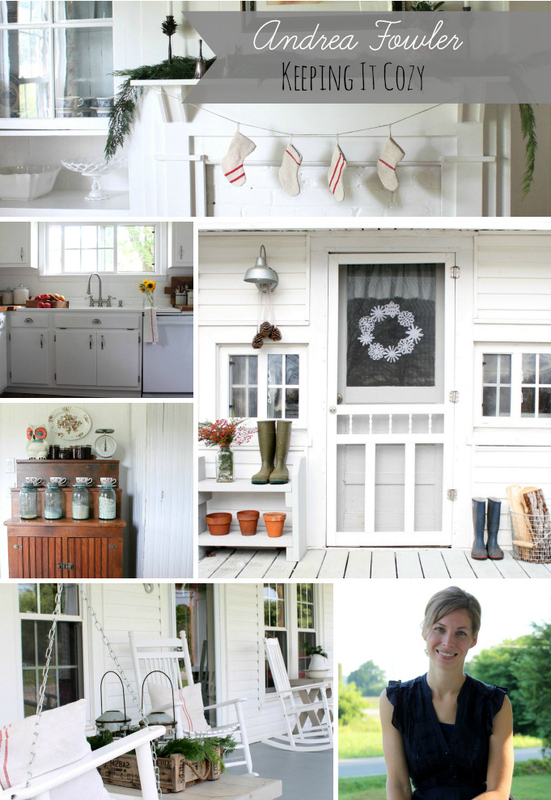 There is still time to enter the giveaway for the Creatively Made Home e-course! Check it out here and simply leave a comment. This course will be full of ideas, beauty, inspiration, joy and encouragement... it's about sharing the warmth of your home with family and friends. It's about creating beauty in little things, opening your home with hospitality, and welcoming others into the love of your family. It's about so much more than the contents of your home - it's about the contents of your heart. 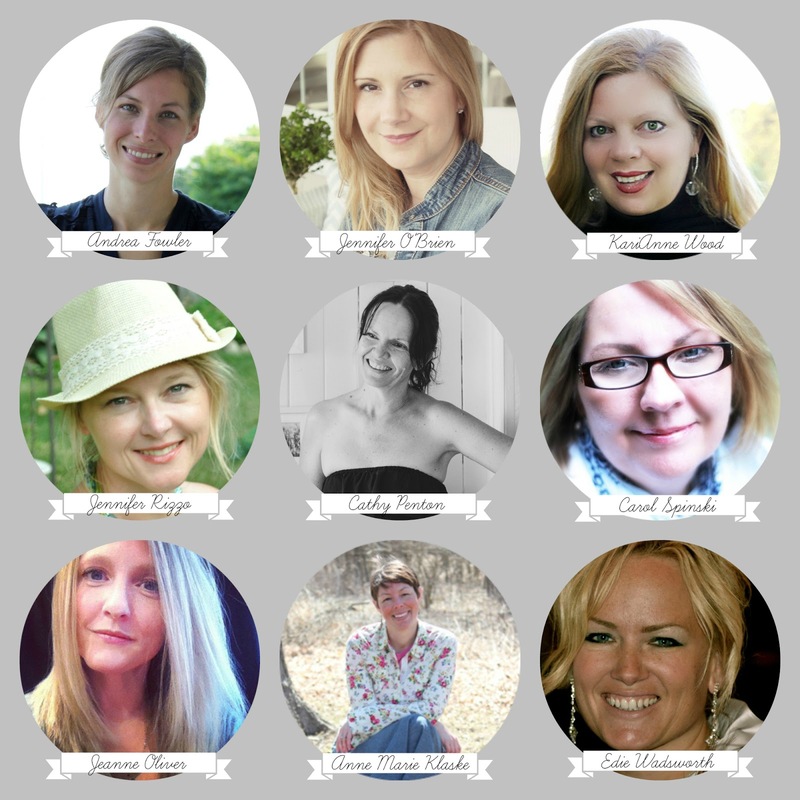 I am thrilled to join a group of such amazing, talented ladies to teach this course. Honestly, I was so surprised to be asked to be a part of the course this year. Last year Jeanne launched the first Creatively Made Home e-course, which I took. The videos are pre-recorded and available to watch at your convenience, so I watched as I had time. I loved the course... it was so much more than decorating and ideas... it was heart-warming and reminded me of so many things that are important. It feels a little surreal to think I'll be on the other end this year! I'm excited and also a little nervous too... I'm anxious to share what I've been working on and I'm going to try and laugh through my insecurities of the videos I've taken of myself! 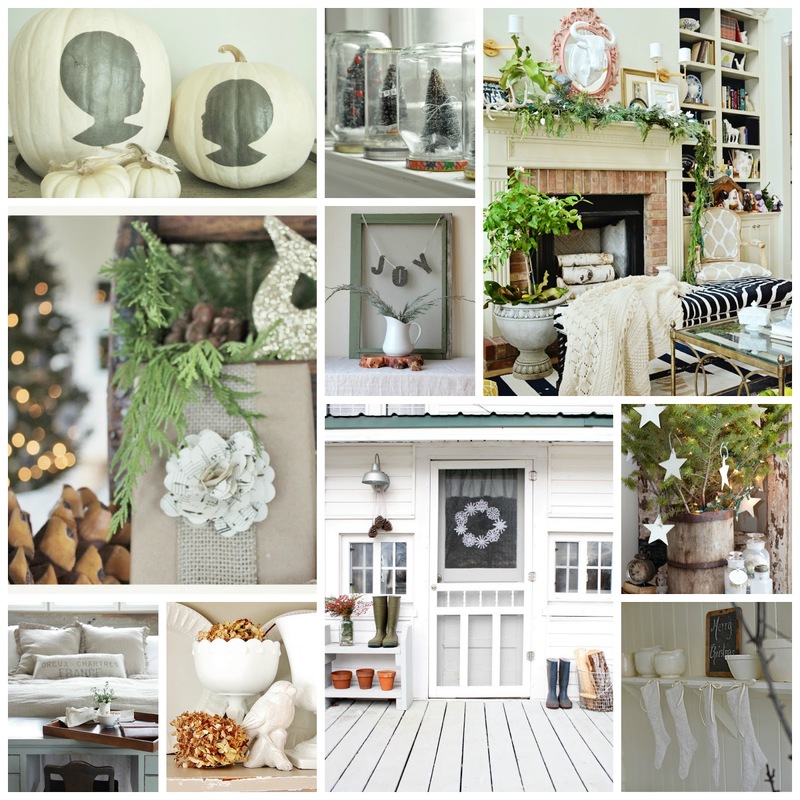 I love this time of year and all that it encompasses... I know that everything the other ladies share in this course will be beautiful, inspiring and full of joy. We'll be sharing decorating projects, gift giving ideas, favorite family recipes, and also stories about things like favorite memories, traditions, and even when things didn't go as planned. Each week you will have amazing truthful videos from the nine teachers. There will be 30+ project videos. These will be incredible videos that include everything from cooking, gift giving and decorating. Tons of beautiful house photos from each of the nine women. Supply lists and PDFs for each project. A digital recipe book of the recipes shared in this course. The e-course will launch October 15. Early registration is now open at a discounted rate of $48. It will go to the regular price of $58 on August 26. I am also giving away two spots to the course. To enter, simply leave a comment and I will randomly draw the winners next Tuesday (8/20). If you pay for the course and then win, you can give your spot as a gift to someone else! Once you've paid, visit here to register (it's free) and create a login for the course. * What is an e-course? An e-course in an online class. The class is held on a website. There is a private classroom that only people that have registered for the course can access. Once the course is ready to begin we will send you a welcome email (make sure you are registered at jeanneoliver.ning.com to receive this email). Each Monday (of the three week course) the full week of videos and content will be available. All videos are pre-recorded and you can watch them at your convenience. The videos will be up for one full year from the date of purchase. * When will we receive the login and password information to access the course? Once you have paid on jeanneoliver.ning.com you will have instant access when the course begins. When you register at jeanneoliver.ning.com you create your own password and login information. If you paid through another site or our main website then we will send you login information. Please make sure you have set up an account (this is free) on jeanneoliver.ning.com. This step will get you into the course faster. * Am I allowed to share my login and password with friends? No. We have priced this course very reasonably and we have all worked very hard to give you a beautiful and inspiring course full of content. We would love to have your friends join us the proper way by registering. Thank you for honoring this request. We also promise to respect you by honoring the time and money you have spent for the course by giving you a beautiful finished product. * What if I miss a week? Will I be able to catch up? Yes! All videos are pre-recorded and available to watch at your convenience. The course is three weeks long but the videos will remain up for viewing for one full year from the date of your purchase. That gives you time to watch everything again and again if you wish. *Do I need to be at the computer at a certain time to see a lesson? No. None of our videos are live. *What kind of internet and computer do I need to have to have the most success with the course? To get the most out of the class you need to have a high-speed Internet connection and newer computer or mobile device that is equipped to stream video off of the Internet. *Am I able to watch the videos from my ipad? Yes, our videos are ipad compatible. *I live outside the United States. Am I able to sign up? YES! We would love to have you. We have people signed up from all over the world. If you have questions that are not answered here please email us at Jeanneoliverdesigns@gmail.com and we would love to answer them for you.